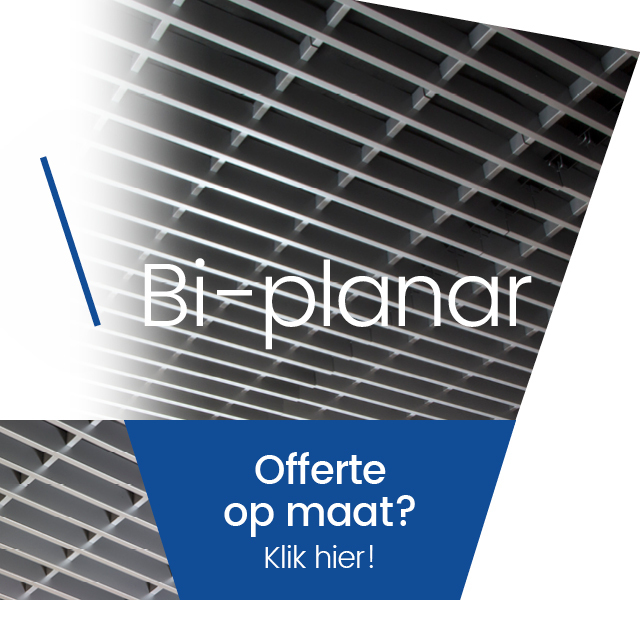 Bi-Planar is a linear solution for the Eurogrid system. It consists of a U-shaped profile and modular 1200×600 mm panels, which can be disassembled downwards. The lateral blades are 40mm high, in combination with cross sections that are 20mm high, both with a width of 9mm. The suspending structure consists of black profiles and fittings. Each panel is mounted onto the supporting structure with 4 springs. "Open cell ceilings are the obvious choice when seeking ceilings that are just as stylish as they are structural"
"Open cell systems have the ability to enhance a space by adding something special to its dimensions and aesthetic"